Our Mommy MD Guide’s reply: My older daughter had colic, which turned out to be an allergy to breast milk. I was besides myself when a nurse at my pediatrician’s office told me that. I’m a scientist, so I stopped breastfeeding for a few days. My daughter stopped crying. So I started nursing again. Sure enough the baby nurse was right. Of course it took me weeks to convince myself. I was devastated. They say that we get antigens to all of the cow’s milk we drink, and that can bother the baby’s stomach. Perhaps in hindsight if I had stopped drinking dairy I could have nursed her through it. 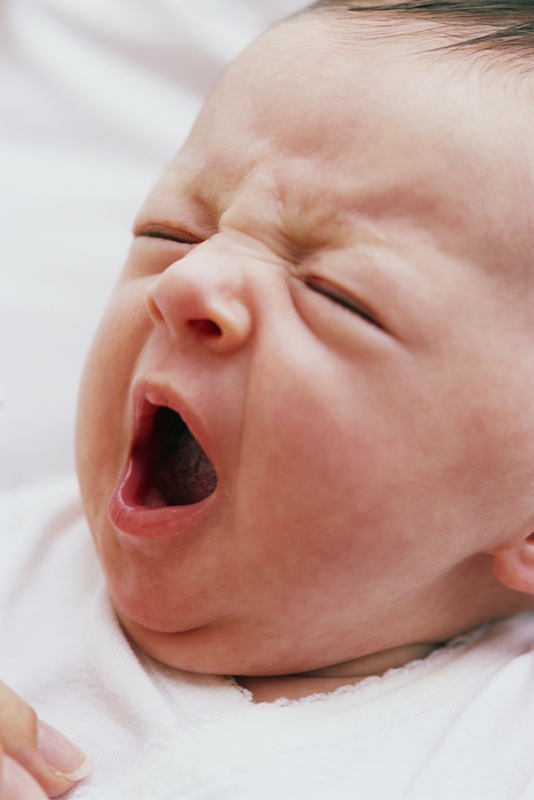 Our Mommy MD Guide’s reply: My first son, Carter, was a colicky, screamy, unhappy child. He screamed for three to five hours a day—every single day. How did I cope? I didn’t. And I think it’s ok not to cope. You just need to find someone else who can. Fortunately, my husband bought a pair of headphones—the kind you’d use when firing a weapon. He rocked Carter for hours while wearing those so he could tolerate the noise. Carter finally stopped screaming when he was around seven months old. In hindsight, I assume it was colic. We couldn’t find anything medically wrong. We tried everything to help, even homeopathy. I totally changed my diet and even stopped breastfeeding and tried a variety of formulas to see if it had anything to do with breastfeeding. But he continued to scream. Fortunately, Carter is growing up just fine. After having that experience, my husband especially was nervous to have a second baby. He wasn’t sure that he could handle more months of screaming. But our second son, Conner, hardly cried at all. Interestingly, my husband, Conner, and I are all very low key. Carter, on the other hand, is very high-strung and emotional.